Raising animals as a hobby is popular in rural areas. 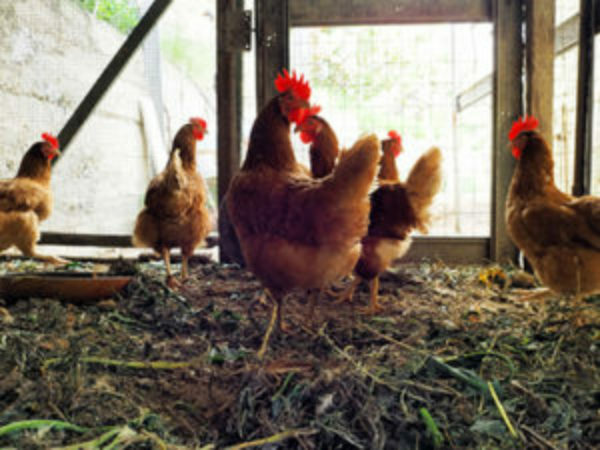 Hobby farmers enjoy keeping chickens, sheep, goats and other farm animals as pets or livestock. Fire safety is a concern in backyard animal housing buildings as heat sources and electrical equipment are often overlooked or used incorrectly. Make sure that heat lamps are properly secured to keep them from being knocked over. Keep heat lamps away from anything that can burn. Ensure that space heaters are designed and approved for permanent heating in agricultural buildings. Place space heaters on a sturdy surface so they won’t be knocked over. Regularly brush cobwebs and dust from light fixtures and electrical outlets. Choose light bulbs that have covers to protect them from dirt, moisture and breaking. Do not use extension cords in the animal housing building. Extension cords are for temporary use only. Choose electrical equipment that is designed for agricultural or commercial use and have all installations done by a qualified electrician. Be careful with electrically heated animal waterers. Make sure the cord and plug are in good condition and are properly grounded. Regularly check all electrical wiring for fraying or damage. Choose electrical outlets and switch boxes designed to keep out dust and water. Store baled hay away from livestock and ensure hay and bedding storage is not near anything that can burn.